God designed males and females for one another, so why do we rarely trust the motives of the opposite gender? Do we really believe we can have harmony and work in partnership while enjoying one another?The enemy has lied to us, and we are frustrated, confused, and exhausted. Many men don't think women want them, yet they are wired by God to need to provide for and protect females. Often women are afraid to admit they want and need male masculinity in their lives and are exhausted and aching for the provision and protection men were created to extend to them. God wants to offer freedom to both genders by offering understanding so we can courageously take our positions and thrive! 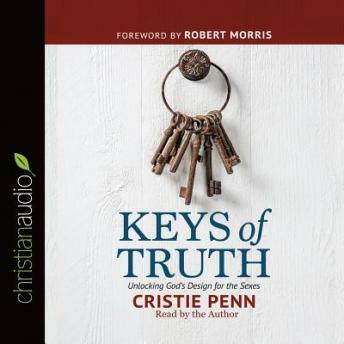 Take a journey with Cristie Penn as she transparently describes how a misunderstanding of her position almost wrecked her marriage and family. Cristie explains in simple terms the keys of truth God taught her and how she and her husband used them to turn frustration and bitterness into understanding, love, and respect. Learn how to partner with God by courageously taking your position with and for the opposite gender in your life. No matter the age or stage of life you re in, this book will help you discover how to walk freely and confidently in the position God created you for!